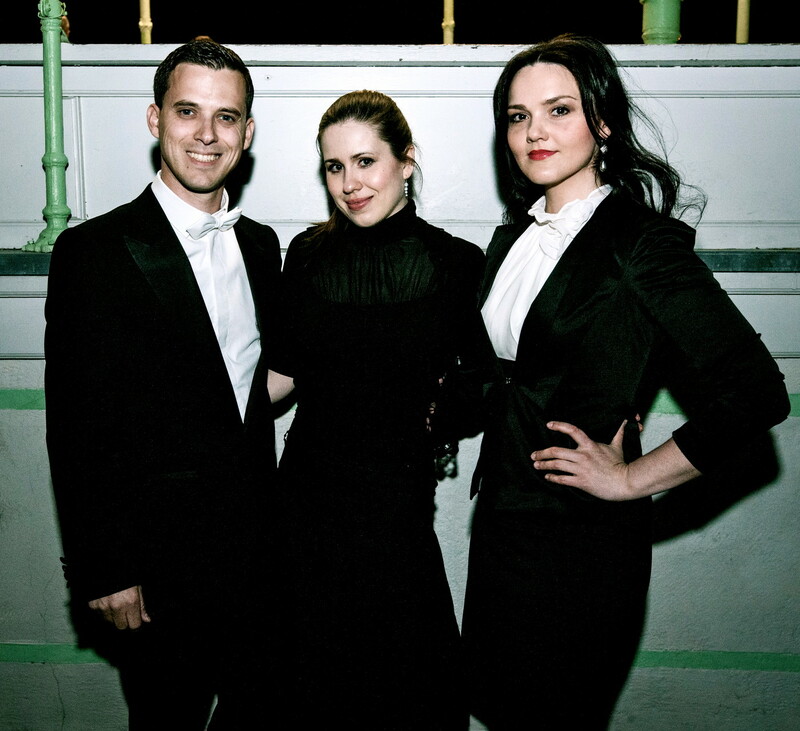 The three young artists are graduates from the popular German 'University of Music - Hanns Eisler' in Berlin. Next to their successfully solo careers they established common the Trio 'Les Accordés' (engl. 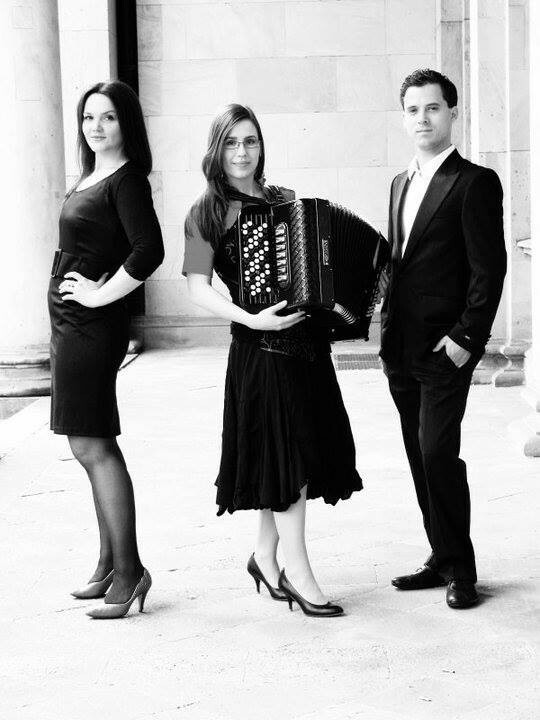 'The Concerteds') in 2010, which already made one's mark in Berlin, Brandenburg and Bavaria. They also gave concerts in France and Italy. 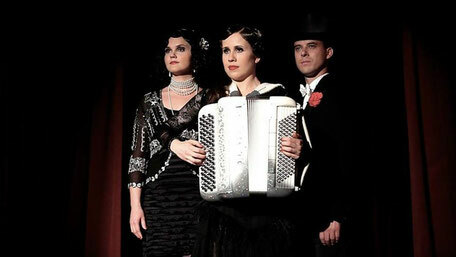 Chanson-Revue - Three in a big city! In the big metropolises Berlin and Paris you search of the big love. You find it and lose it again. Completely you take fire of loving in spain, where everything will end in a drama. Three young musicians tell about the delights and the sufferings of infatuation: the shyly meeting, the first kiss, the devotion, the pure desire of slight being, the refusal and the painful divergence and also forgiving. And if love doesn't find the way to you, you betake oneself to flight into 'love to sale'. 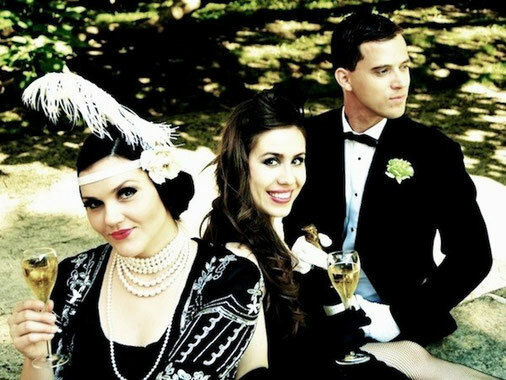 You listen to Chansons and Lyrics from Germany and France of the 20s to 50s, which are presented in splendid costumes and in scenic and dance sequences. 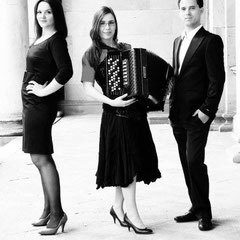 The Trio takes its audience by assault with charm, high musical sense and originality. This show inspires and fascinates hearers of any age. Their talents of acting are also extraordinary and more than strong. The songs are sung partly in several voices and dancing scenes are staged.